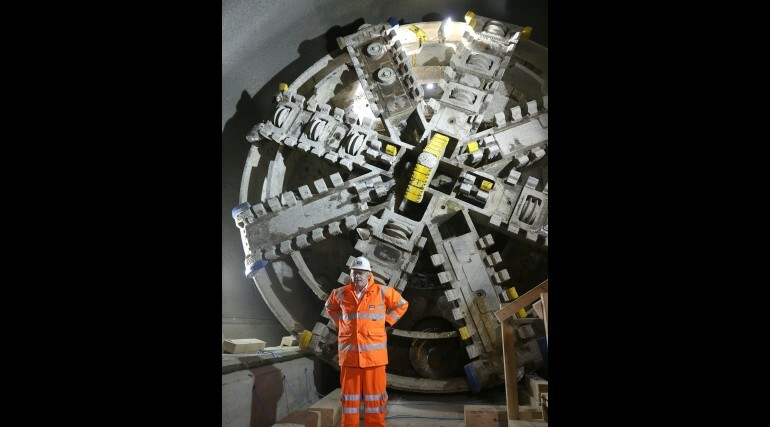 Mayor of London launches final tunnelling push - Crossrail . For information about the Elizabeth line please visit the Transport for London website. 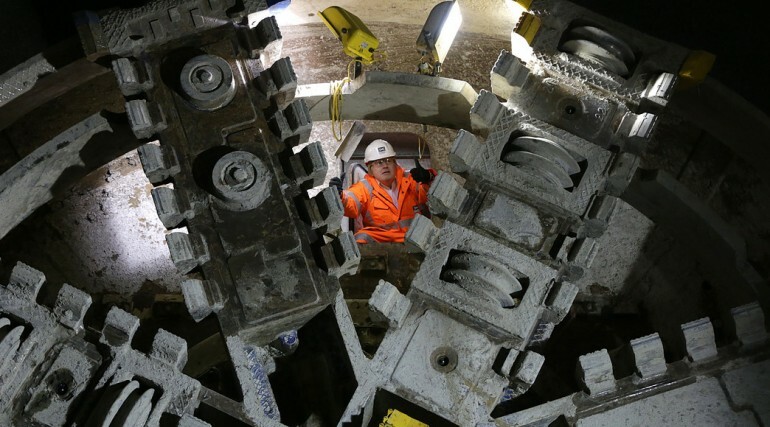 Crossrail’s 26 mile tunnelling marathon entered the home straight today when the Mayor of London visited tunnel boring machine Victoria, 42 metres below ground at the new Liverpool Street Crossrail station. 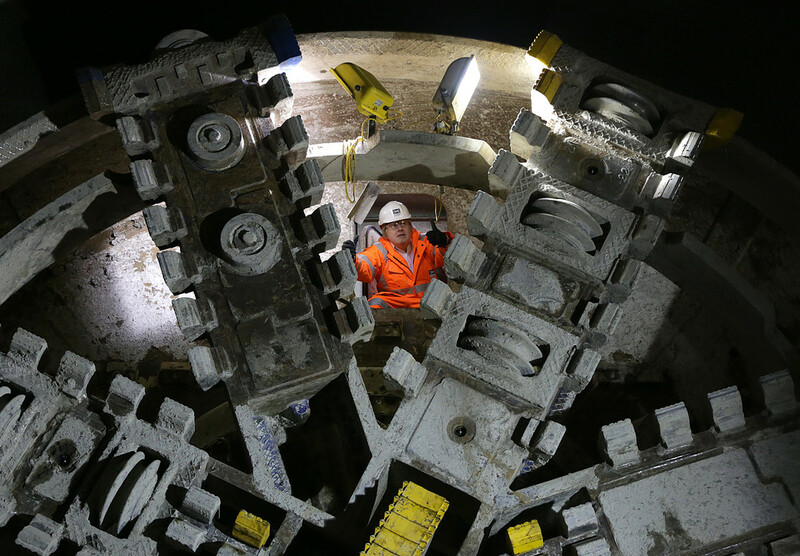 Crossrail’s final tunnelling machines, Victoria and Elizabeth, are currently being prepared to complete the last two 750 metre tunnel drives between Liverpool Street and Farringdon. 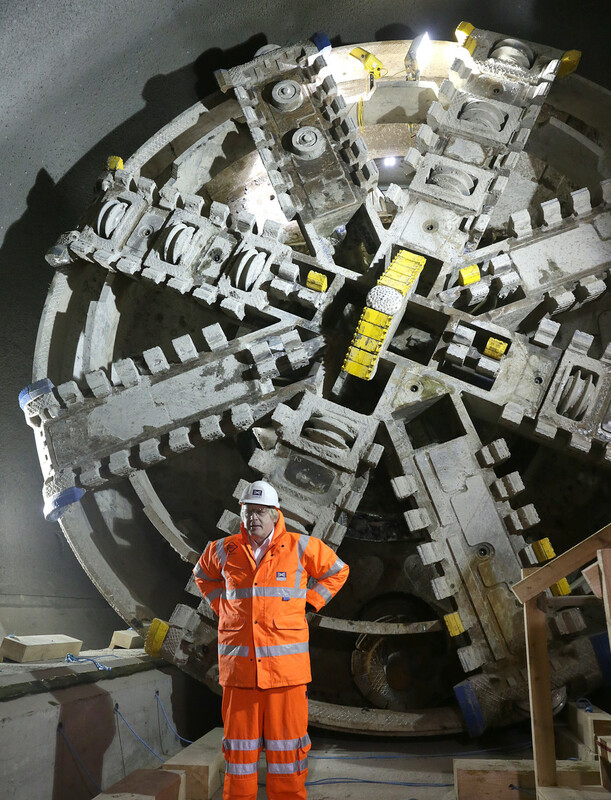 When they reach their destination and the big east-west breakthrough is complete, all 26 miles of Crossrail’s new train tunnels will have been created. 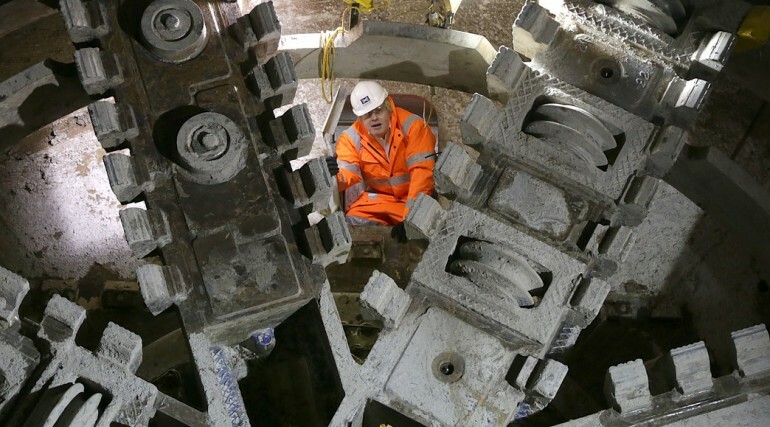 Boris Johnson, Mayor of London, said: “These hardworking beasts have slowly but steadily been working their way across London underneath our feet. The last time I saw them they were at Canary Wharf, and now nearly six million tonnes of earth has been excavated and their work is almost complete. 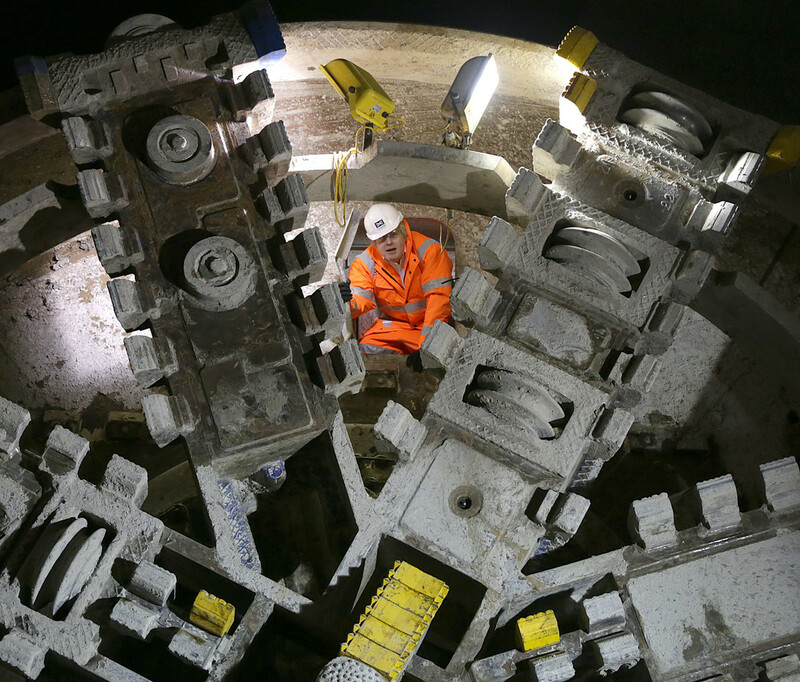 The project, the largest in Europe, will transform rail services across London and remains on time and on budget. Tunnelling began in the summer of 2012. 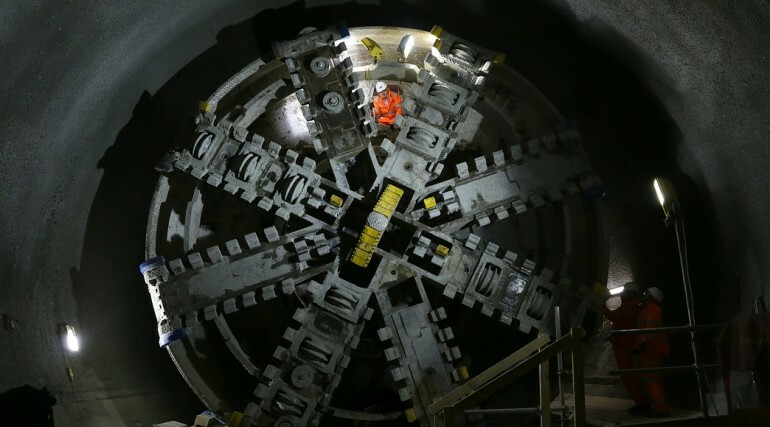 In total, eight tunnelling machines have been used to create the new tunnels beneath the capital. 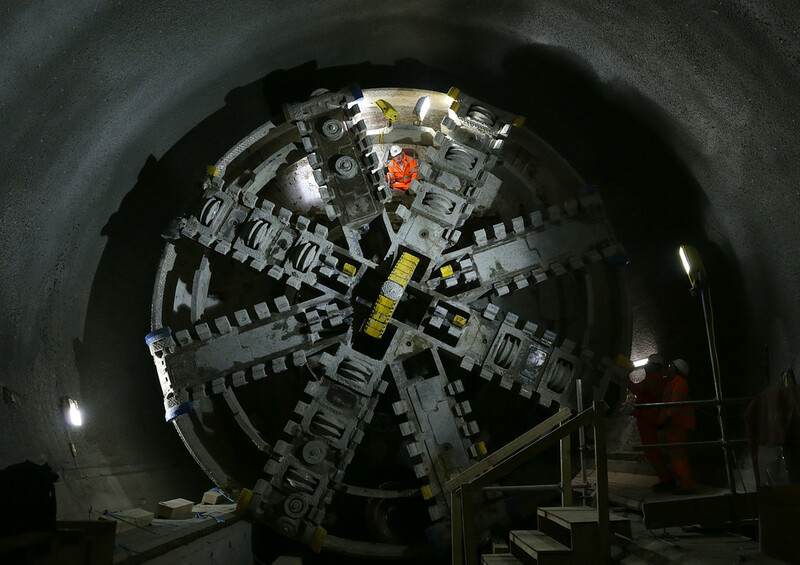 Once tunnelling is complete, the thousand tonne, 150m long machines will have excavated around six million tonnes of earth.